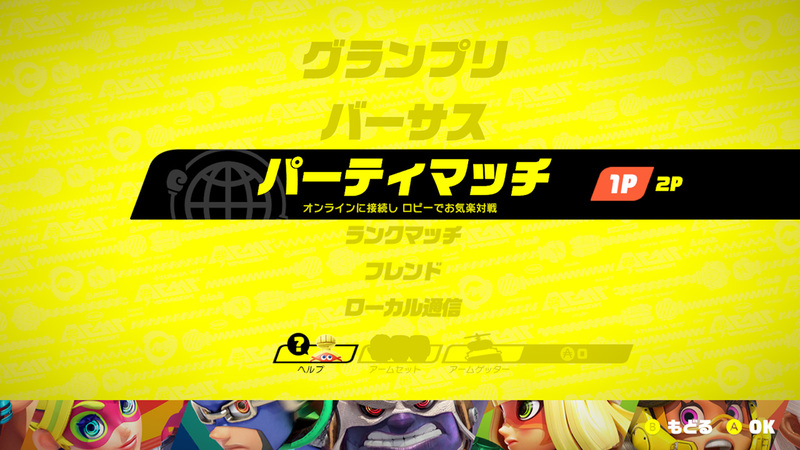 Update: for more details about the additional content (new fighters, stages, etc. ), make sure to check out this post! attribute: fire, electric, wind, ice, stun, explosion, blind. Kicks in after charging. 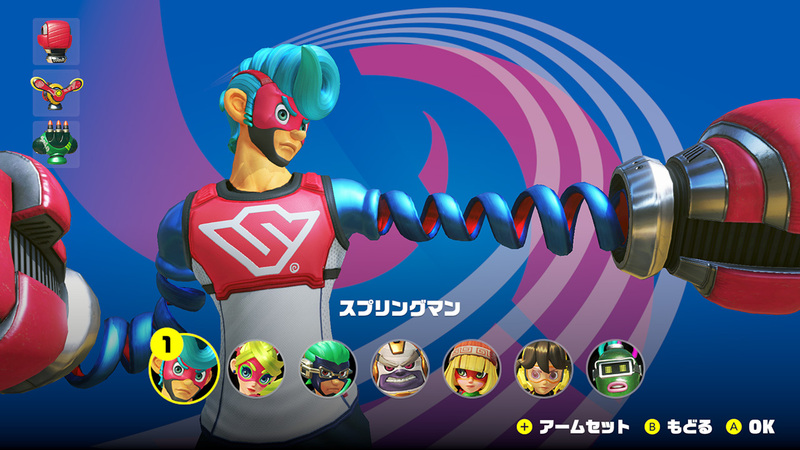 Each arm has its own attribute, so it’s recommended to equip two different arms to get two different powers, and gain in versatilty. Byte & Barq: Barq (a robotic dog) distracts opponent, and Byte (a robotic policeman) can use it as a foot stool. When they use their rush attack, they combine forces for some pretty epic combos. Their signature ARMS are Seekie (shocking heat-seeking misiles), Cracker (surround enemies in fire), and Bubb (pops off after a charge). Twintelle: a movie star, and her ARMS are… her very twintails. She can slow down punches in midair. Her signature ARMS are: Chilla (freeze enemies), Parasol (block incoming attacks) and the Thunderbird. Training: lets you practice through various drills. Next, the presentation detailed how to get ARMS. As explained before, you get some prize money by winning matches. That money can then be used at the ARM Getter to get new ARMS. Fun fact, it’s possible to get duplicates, when you do, the duplicate has higher attack power. Local multiplayer. 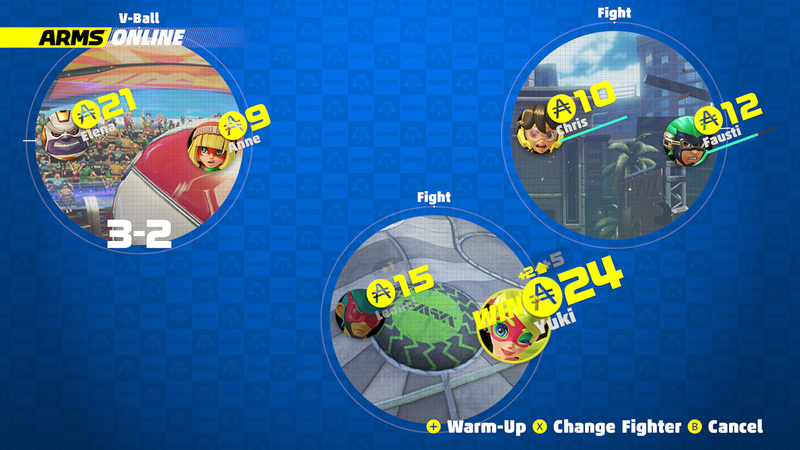 You can create a lobby for up to 8 players, and play Party Match. Finally, Nintendo had a couple of surprise announcements. 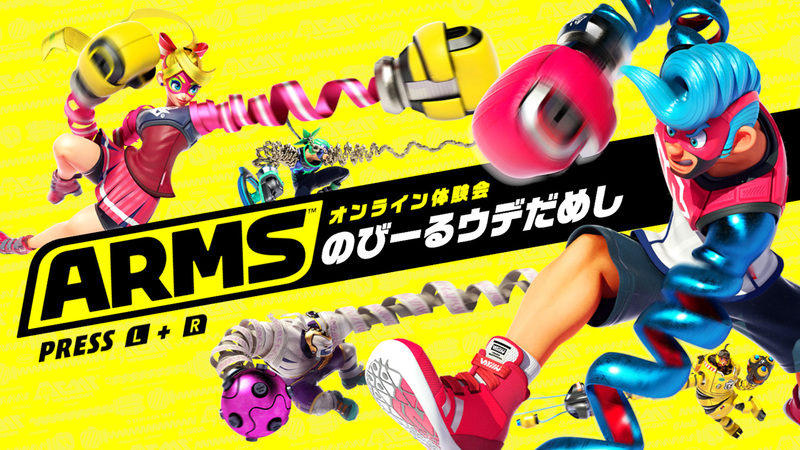 First, some pretty good news: ARMS is getting free updates after launch, adding new fighters, stages, and ARMS. Yes, just like Splatoon (and Splatoon 2)!